Club Penguin has uploaded a new Youtube video! And check it out! 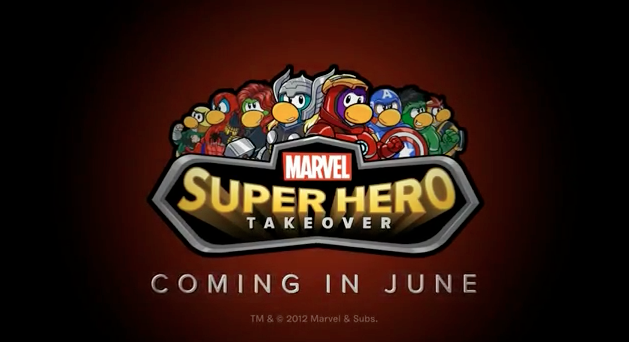 At the end there is a new ad for the new Marvel Super Hero Party in June! 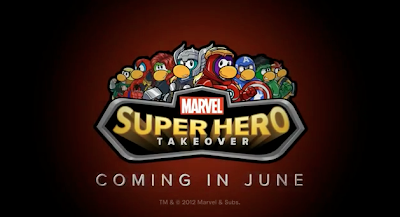 Arne't you glad CP bought Marvel and Club Penguin? What do you think they will buy next? The world...? .before i wasnt really looking forward to this superhero party,but now that i know its marvel superheros i cant wait! I saw the movie the avengers! It was epic. And Know both of my favorite things combine! This is becoming more intresting and I am so excited! Say Avengers rule if you saw the movie! So...we can dress up as....Iron Man? i said that. thats why its marvel because disney own marvel and cp and they want more ppl on cp by putting advertisements with things children like. They want cp to have a bigger population.